Let’s go back in time. Meriwether Lewis and William Clark departed on their Corps of Discovery Expedition on May 14, 1804, from near St. Louis. They first saw the Pacific Ocean on Nov. 7, 1805. It took them one year, five months and 24 days to trek halfway across North America to see the Pacific Ocean. And then it took them two more weeks to actually reach the shore. Now, I can just say “Alexa, please order laundry detergent” and have my favorite brand delivered by the end of the day. No offense to Lewis and Clark, but I’ll take Amazon.com’s voice-enabled Alexa option 10 times out of 10. But what makes that possible? Or rather, who? The trucking industry collectively plays an important role in providing timely deliveries, and obviously a lot has changed since the early 1800s in terms of transportation. As an industry, we should be thankful for the pioneers of old for laying the foundation for today’s productivity and efficiency. 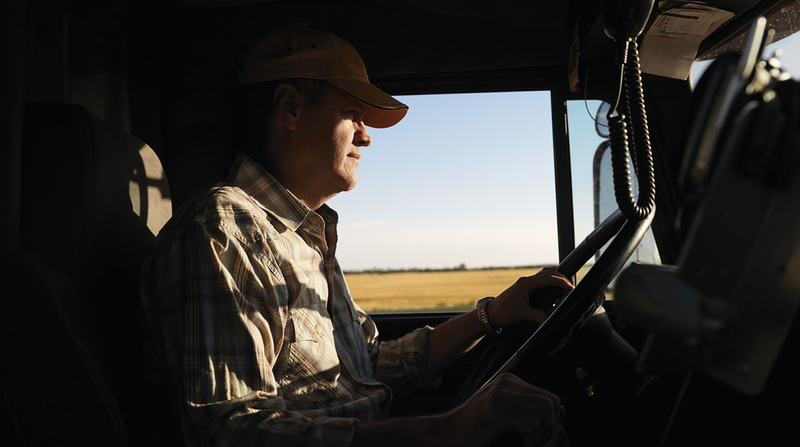 But we also have some modern-day pioneers to thank for today’s improved quality of life: professional truck drivers. There are more than 3.5 million professional truck drivers in America, and each of them, along with bringing us the goods we desperately need to survive, delivers us and our neighbors one thing: time. It’s a limited resource that we can’t make more of and can never get back. A resource that modern America holds as valuable as any other. Whether right or wrong, it’s a resource that our country relies on, measures success by and pays extra to conserve. And truck drivers, more than any other group of professionals, give it to us in droves. A truck driver’s time is his or her livelihood, yet we rarely celebrate their time or the safety and efficiency that they use to make our lives easier within the confines of their limited time at work each day. In fact, society often costs them time. We choose to drive single-occupancy vehicles to work, clogging the highways that they use to bring us our favorite goods. We honk at them and cut them off in traffic. We vote against efforts to fund infrastructure improvements to make their lives safer and easier. How many times have you become frustrated at a truck for slowing your commute to work even though, as an industry professional, your wages and employment are directly tied to a truck driver’s safety record and performance? We expect things to be there when we need them, but even many of us in the industry rarely give a second thought to the people who safely and professionally bring us the things we need. Fortunately, there’s one time of year when we bring attention to these deserving men and women. National Truck Driver Appreciation Week is celebrated each September to showcase the important work that truck drivers do to make our lives more comfortable and more convenient. If you weren’t convinced of truck drivers’ importance to our lives by my thoughts above on time, please allow me to give a few other examples of why you should appreciate truck drivers this week, Sept. 10–16. Consider this a polite call to action. Our industry has Highway Heroes, Top Rookies, America’s Road Team Captains and Citizen Drivers. It has Grand Champions, state champions, Trucker Buddies and Truckers Against Trafficking. We have more than 3.5 million drivers who safely move America’s goods and then go home to do good in their communities. • Deliver 10 billion tons of freight each year, which equates to 70% of the nation’s total freight tonnage. • Deliver to the 80% of our nation’s small cities, towns and vil- lages who have no other means of receiving goods. • Help make possible the more than 7.4 million trucking industry jobs in America. • Have a crash rate that is 29% lower than the average driver. • Are principally at fault in just one-fourth of fatal car-truck crashes. Truck drivers are trained, highly skilled professionals who make it their mission to deliver your goods in a safe, efficient manner. They know that your family minivan is out there on the road with them. They know that delivering your daughter’s soccer cleats on time might be the difference between a game-winning goal and a seat on the bench. They know that classrooms cannot operate without books and computers and crayons and lights. They know that they’re tasked with moving America forward. I think they deserve recognition from us that shows them that we know it, too. This National Truck Driver Appreciation Week, give an extra nod to a driver in the yard, shake a driver’s hand and genuinely thank him or her for the impressive work they do, day in and day out. After all, truck drivers give us our sacred time, which we can use as we please. I just ask that you consider using a little time this week to thank the men and women who give you back your time, deliver you your goods and make our jobs in the trucking industry possible. Kevin Burch is chairman of American Trucking Associations. ATA, the largest trade federation in the trucking industry, has headquarters in Arlington, Va., and affiliated associations in every state. ATA owns Transport Topics.